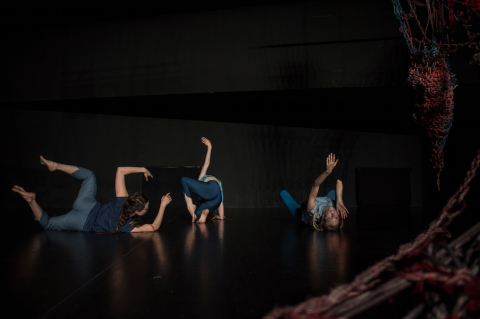 Rebecka Stillman works in different formats but always within the realm of the choreographic. She is based in Stockholm but probably spends more work time elsewhere. 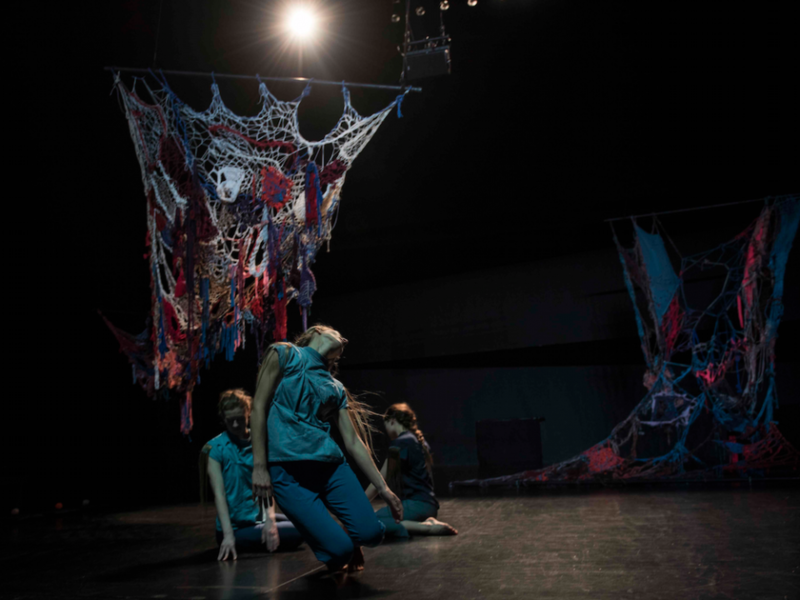 She has initiated performance projects in collaborations and collectives and done commissioned work, as in her long term collaboration with Swedish initiative the Weld Company. She has also administered local initiatives, written for publications and worked as a dancer (e.g. with Eleanor Bauer, Mårten Spångberg, Stina Nyberg and Dalija Acin Thelander). She has an MA in choreography from DOCH in Stockholm, and has previously attended SEAD in Austria and The Royal Swedish Ballet School. The projects she initiates have in common a quest for the middle ground and the unfamiliar in the familiar, often through a protocolized procedure aimed at getting there. Lately she has taken a special interest in experiences of time such as déjà vu and anticipation, and has an affinity towards knitting and mermaids. A constant struggle of hers is how to build what one wants to be part of, for example a fluid and supportive, open and specific, brave and care-taking art scene. 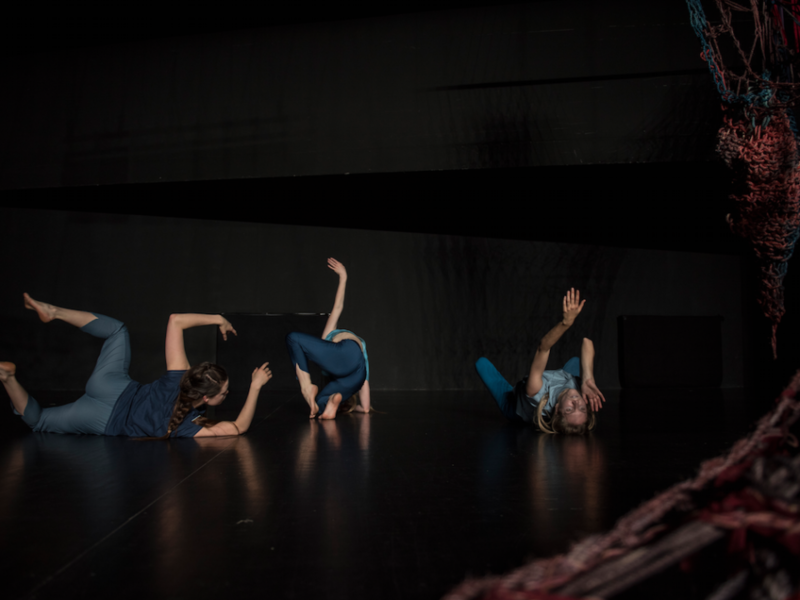 Inga has a drive to cultivate collaborative environments and her works have up to this point all been made in close collaborations with choreographers and musicians. 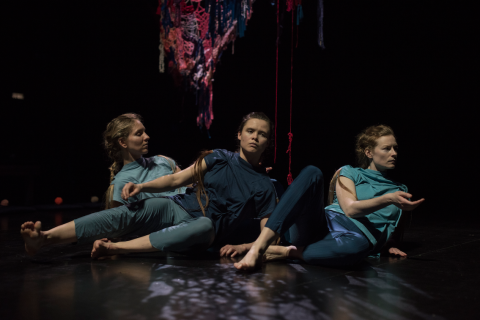 Her latest work We Will Have Had Darker Futures was made with Rebecka Stillman and Kathryn Vickers where the focus was on the slow moving hand of time, but time and futurity was also the starting point of her duet with Katie Vickers, Slogan For Modern Times. Inga’s works with Rósa Ómarsdóttir The Valley and Wilhelm Scream focused on sound production and foley art in relation to the body and the uncanny experiences that arise from their collision. 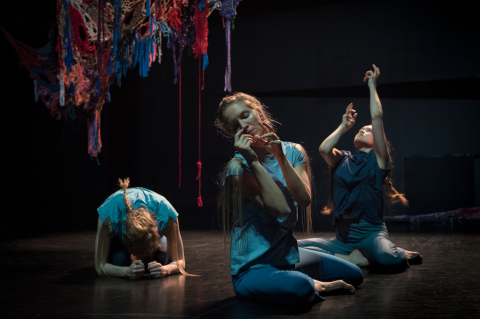 Their work seeks to find the friction between the symbolic and the sensorial; to embody the distance between seeing and being, and this was also a quality they strove fore in their latest work together, Da Da Dans, made with the Icelandic Dance Company. 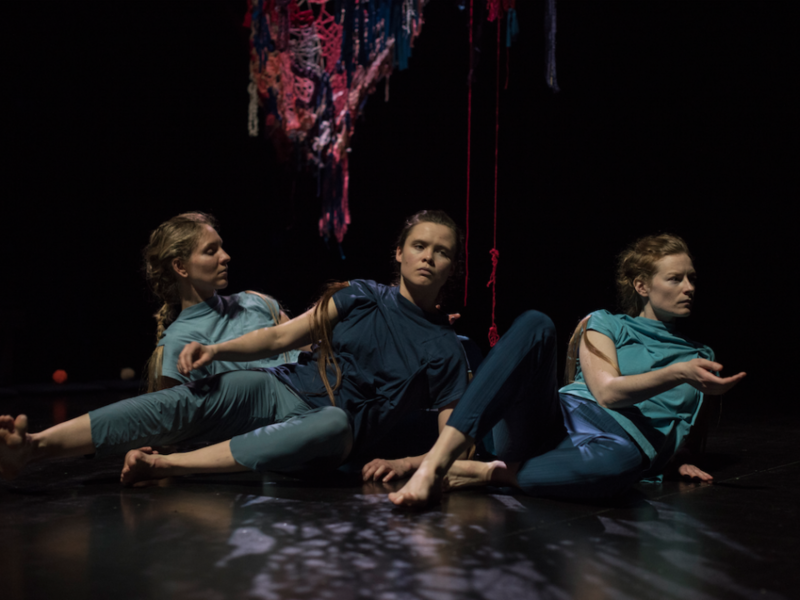 As a performer/dancer/collaborator Inga has worked with choreographers such as Eleanor Bauer and composer Chris Pec in the contemporary musical, MEYOUCYCLE and danced for Salva Sanchis in his most recent works Islands and Radical Light. She also performed and collaborated with the contemporary music ensembles ICTUS and GAME (Ghent Advanced Master Ensemble) in their project Ballet Mekanique. Katie Vickers is an American artist (dancer/choreographer) who lives in Brussels, Belgium. After receiving her BFA in performing arts at The Ohio State University (2010), she moved to Europe to further study dance and graduated from P.A.R.T.S (2010-2014). Throughout her studies, Katie organized jams and taught numerous classes and workshops throughout the US and Europe. Alongside Albert Quesada, Katie co-directs the Mercersburg Academy Summer Program for Dance and Theatre and Practicing Performance: International Dance Festival at The Ohio State University. In 2012, Katie created her solo Ode To That Dance, which performed in Belgium, Germany, and the United States. Since 2013, she’s been collaborating with Benjamin Pohlig in their creations Techno-Tarantella-Novella (2013) and 5 Seasons (2016), as well as Inga Huld Hákonardóttir with their creation Slogan For Modern Times (2014). – She has also worked with and for Benjamin Vandewalle (BE), Vera Tussing (GE), Martin Nachbar (GE), Daniel Linehan (USA), Kendell Geers (RSA) and Janine Harrington (UK) and was recently a guest artist for the Cullberg Ballet in ‘Figure a Sea’ choreographed by Deborah Hay. 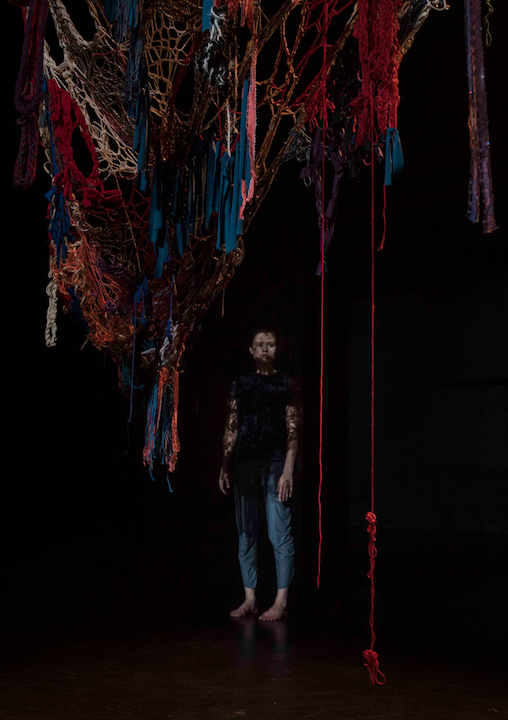 She is on tour with Slogan For Modern Times, 5 Seasons, and her most recent collaboration with Inga Hákonardóttir and Rebecka Stillman, We Will Have Had Darker Futures.
. Production: Kosmonaut. Co-Production: deSingel, MDT Stockholm. 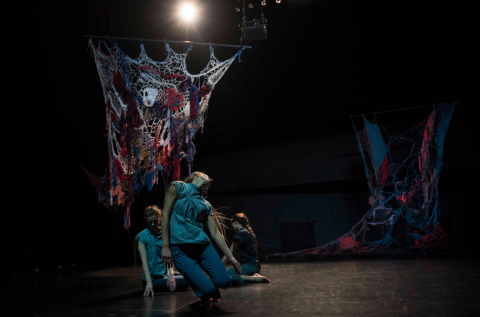 With the support of the Province of Antwerp, the Swedish Arts Grants Committee, wpZimmer, ccBerchem, de School van Gaasbeek, The Swedish Arts Council and Reykjavik City.